1. In a shallow dish (I used a plastic sandwich container), mash half of the raspberries with the lemon juice and sweetener. Cover the peaches in the marinade. Place the peaches cut-side down in the juice and allow to marinade at room temperature at least 30 minutes. 2. Heat your BBQ grill to medium-high. Remove the peaches and reserve the marinade. Place the peaches on the grill, cut-side down and grill for 2 minutes. Flip and continue to grill for 6-8 minutes, or until tender, basting with some of the marinade. 3. Once ready, remove from grill and top with the remainder of the marinade and the rest of the fresh raspberries. This would be delicious served with banana soft-serve ice cream, too. I love how light and healthy this is! I bet the berries are fantastic with the peaches… and, since you mentioned balsamic, I bet a drizzle of a thick reduction would be amazing on this too! 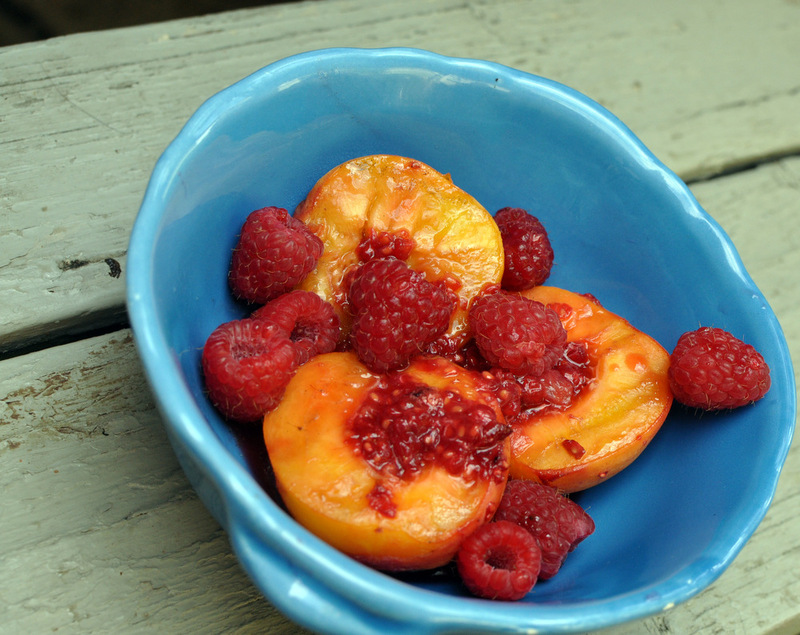 I love grilled peaches, and I love this idea of putting a raspberry sauce with them – a match made in heaven. In the summer I often make fruit kebabs to go on the barbeque. I’ve been SOOO into fruity desserts lately, and the simpler the better! The grilling must make the peaches extra delicious! I love the combination of peaches and raspberries, this is so perfect! 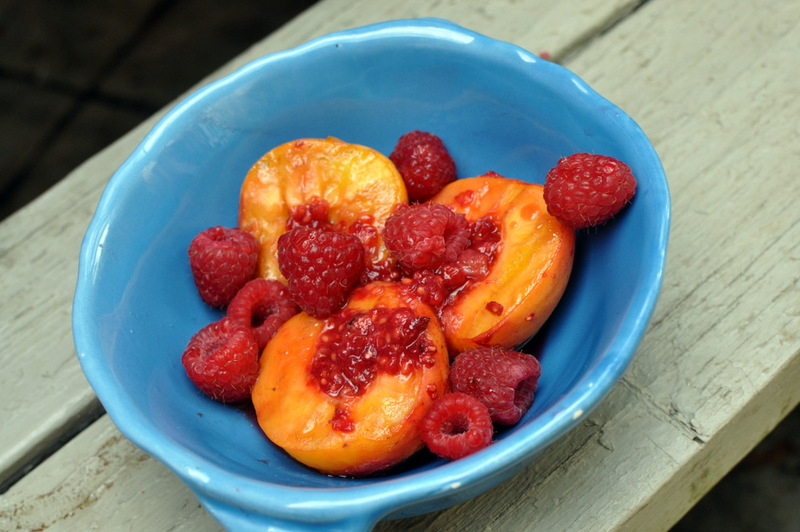 Grilled peaches are a summer classic and this combination with rasberry sauce sounds delicious.